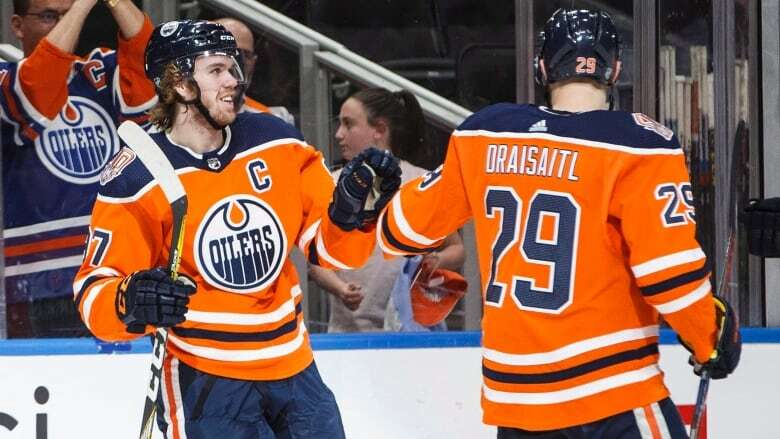 Milan Lucic and Zack Kassian each scored a pair of goals as the Edmonton Oilers came away with a 7-2 victory over the Buffalo Sabres on Monday. A couple of players in the midst of major scoring slumps broke out big time for the Edmonton Oilers on Monday. Milan Lucic and Zack Kassian each scored a pair of goals, each doubling their goal totals on the season in the process, as the Oilers came away with a 7-2 blowout victory over the Buffalo Sabres. "It feels good as an individual to pop a couple tonight, but the most important thing is that we got the two points in the standings," said Lucic, who only had two goals in the entire calendar year of 2018. "I'm not even going to go into 2018, there is lots to play for in 2019 to get ourselves back in the mix and now it is about stringing a few wins together moving forward." Kassian was also relieved to see a couple of goals go in for himself. "It seems like our mistakes right now, every single one ends up in our net," said Buffalo captain Jack Eichel. "You know you're going to make mistakes over the course of the game and the magnitude of the mistakes are probably too big. It didn't take long for the Sabres to kick off a flurry of scoring, making good on the game's first shot exactly one minute in when Mittelstadt tipped a shot past Oilers starting goalie Mikko Koskinen. However, Edmonton pulled even on the game's second shot a minute-and-a-half later when a Kassian shot ticked off a Sabres stick and past Buffalo netminder Carter Hutton.